When you organize a trip to a destination, the first thing you have to decide is which means of transport you are going to use to get there easily. You can get to a place by land, air or water and this is the case of Italy, that is accessible in many different ways depending on your starting point. If you are coming from countries like the US, Canada, Australia or India the choice is different from people living in the European countries, because they are well-connected to Italy due to the short distances. It is not so common for Italian people to take an airplane. We are inclined to take trains or better to drive cars rather than planes. But in the last years the Italian airports have been improved thanks to low cost airlines and their many flights taking off to many destinations. Also services for passengers, like shuttle buses or trains going from the airport to the city centre, have been increased. Navigli in Milan where locals use to hang out. The main Italian airports are “Leonardo da Vinci” in Rome and “Malpensa” in Milan where long-haul flights land. Both these two cities have a second airport (Ciampino in Rome and Linate in Milan) that is used mostly for low cost flights. Therefore if you are departing from America, Oceania, Asia or Africa, you will probably land at Fiumicino airport in Rome or Malpensa airport in Milan. While if your departing country is in Europe it is easy to find flights landing almost everywhere in Italy. Don’t believe that only Rome and Milan have airports. You can find airports in every Italian region, but not all have gained a strong importance. Some of these airports are more active during summer, above all for charter flights carrying Italians to holiday destinations (Greece, Spain,…). For example not far from Milan there is another important airport used many years ago above all when planes couldn’t land at Milano Malpensa. It is the airport of Orio al Serio, just outside of the city of Bergamo, which is increasingly developing: besides becoming the Ryanair’s hub in Italy, it is the third Italian airport for passenger numbers (after Fiumicino and Malpensa). Remember that Italian airports are always rather near city centres, because they are located in the town suburbs. Here following is the list of the airports you can choose if you are arranging a trip to specific areas. Are you going to Milan? You can land at Milano Malpensa, Milano Linate or Bergamo Orio al Serio. Every airport is connected with the city centre of Milan. You can choose shuttle bus or train depending on which point you have to reach. As Genova airport is linked mostly with other Italian airports, it is better to arrive in Milan if you are going to spend some days along the Cinque Terre in Liguria or the Italian Riviera. 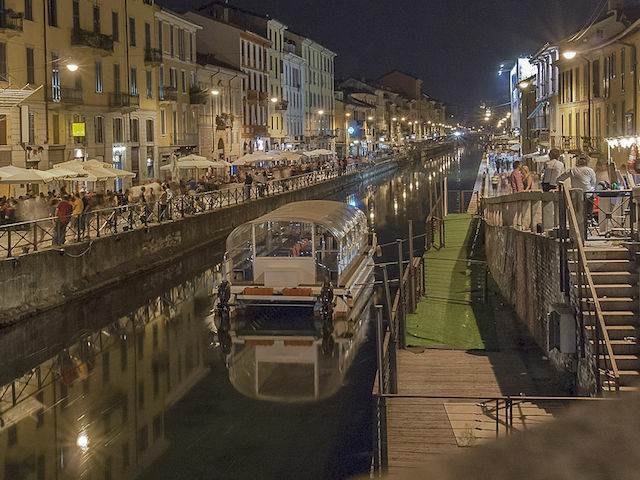 Milan is the shopping wonderland, but it preserves also some special places like the Navigli where people living in Milan hang out frequently. It is the best starting point to reach Lake Como and to plan a day-trip to it. Don’t forget to stop in Genova, that is easily reachable by train or bus. 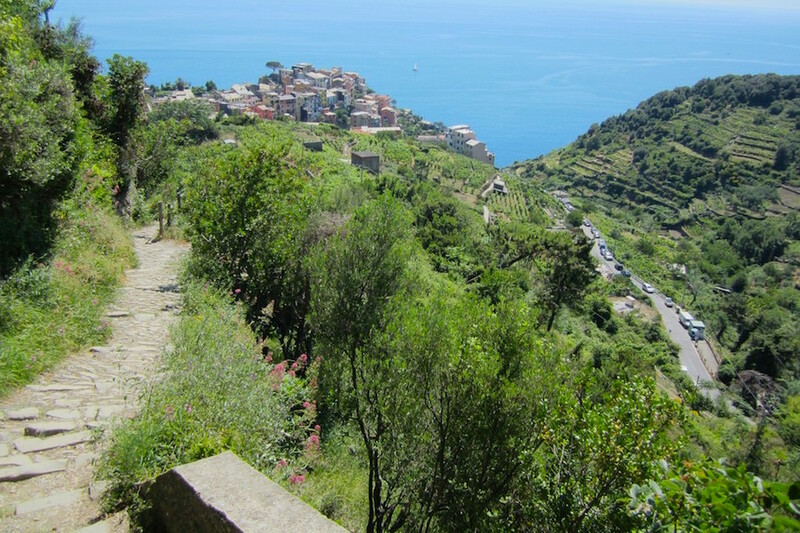 Hiking along the Cinque Terre you will see this panorama. If your departing country is England, Holland, Germany, Greece, Spain, France, Romania, Belgium, Turkey or Malta, you could give a little thought to visit Turin and Piedmont. Turin was the capital of the kingdom of the Savoy family, who left amazing palaces in the city centre and in the surroundings. It has also misterious places and symbols to discover. In the case you have few days to spend, you could include in your trip other interesting sights like Stresa or the romantic gardens of Lake Maggiore and plan a tour in the wine area. Planning a trip to Venice? No problem! Venezia-Tessera airport is just 13 km far away from Venice. As the city is one of the most attractive for tourists, you will find flights also from the US (New York, Philadelphia) and the Arab United Emirates. Venice could be the starting point to discover many places in the surroundings. For example Vicenza and its villas or Mantua, the European capital of culture 2016. English people will be happy to know that Verona airport has different flights from UK serving London, Birmingham, Manchester. Also Friuli region is easily reachable from Venice airport, but if you are coming from England or southern Germany you can also buy a flight ticket to Trieste “Ronchi dei legionari” airport. 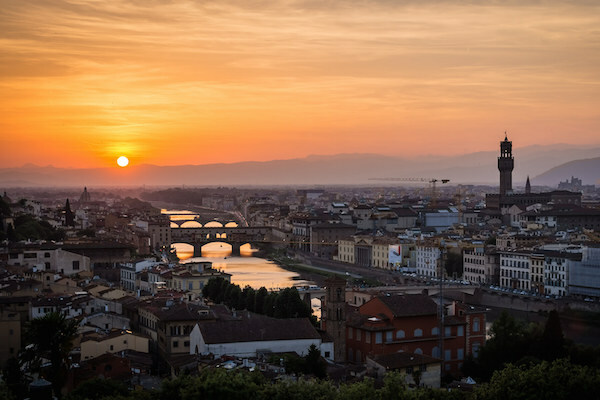 A sunset over Florence city centre. Tuscany region has 2 airports, one in Florence and one in Pisa. Both airports connect Tuscany to almost the entire Europe, but I suggest that you take a look first at flights to Pisa airport. By the end of September 2016 it will be active PisaMover, the train transport between Pisa airport and Pisa railway station. Now it is possible to reach Pisa city centre by the PisaMover bus leaving in front of the Departures Terminal (Hall check-in A). From the railway station you can reach every destination in Tuscany. Next week we will take a look at the right airports for central and southern Italy. 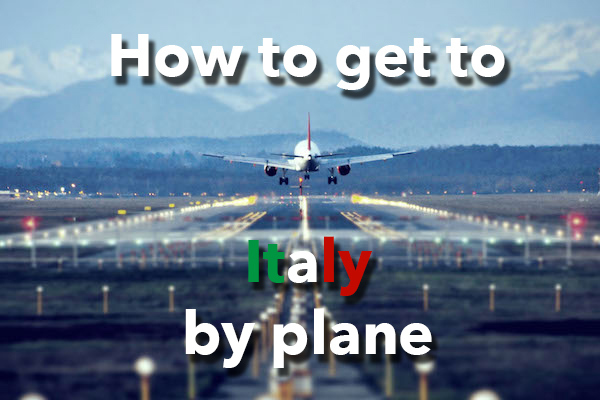 If you have any questions on how to get to Italy by plane, write a comment here below.